We believe that service is the greatest opportunity to differentiate ourselves in the marketplace. 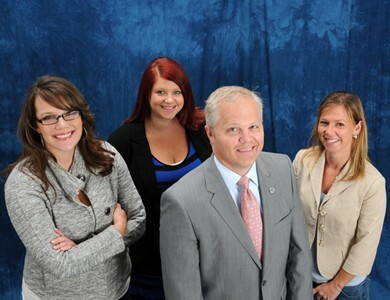 My staff is the most important element to the service of our client affairs. I want them to feel appreciated and to rave about what we are doing together. I am a Graduate of Ohio University with degrees in HealthCare Administration and Business. Prior to taking a few years off to raise our children, my background included working as a Human Resource Manager with Johnson Controls. I also worked with Northwestern Mutual in Toledo, Ohio as a Development Director. I am married to my husband Jay, and we have 3 boys, Nik (9), Zack (6) and Luke (1). We have lived in Andover for 2 years now. Previously, we lived in Ohio and Nebraska. I enjoy running, reading and traveling.